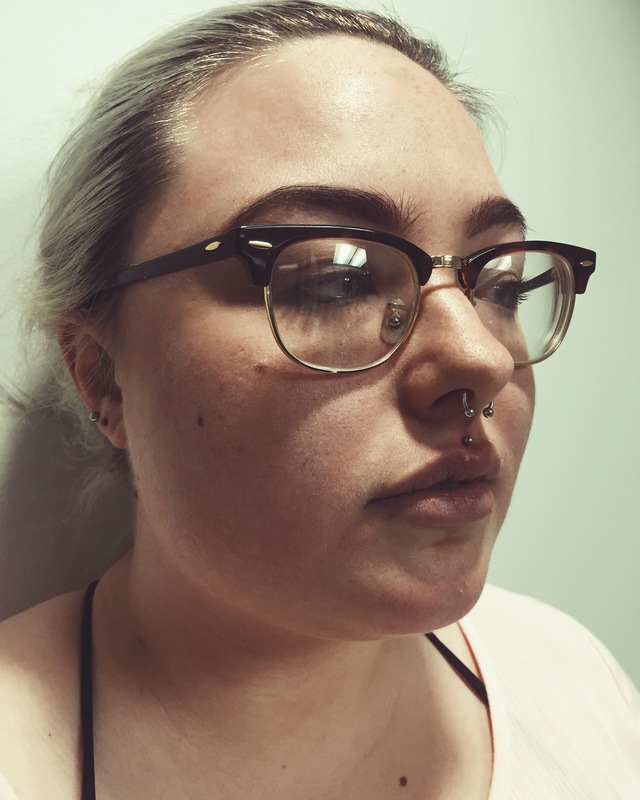 Once I finished my initial piercer training, I started my supervised piercing experience at Almost Famous Body Piercing’s NE Minneapolis location. I’ve been doing more and more piercings everyday! To obtain a permanent Body Art Technician license through the state of Minnesota, you must have 250 Supervised Piercings. At Almost Famous Body Piercing, the supervisor has to be a senior piercer, which means they have done over 1,000 body piercings, and completed more company required training. 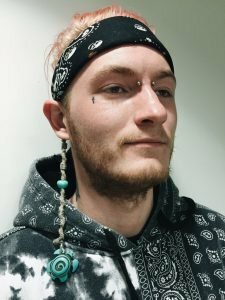 Before I started my piercing journey, I thought it would take forever to get to the required number of piercings to apply for my Permanent Piercing Technician License. I am working full time hours, and it’s very helpful to work nights and weekends so I am at the store at the busiest times possible. I am grateful to my supervisors that they are willing to work alongside me in the room to help me add piercings to my log. I was so excited to reach 100 piercings!! Piercing is a little nerve racking at first, I want every piercing to turn out perfect! Once I got more comfortable, I started having so much fun! I get to interact with all types of people, hear their amazing stores about why they are getting pierced or where/when they got their current piercings. I get to interact with people who enjoy the same things I enjoy. I think that’s the best part of being a Professional Body Piercer is the amazing people you meet throughout your career. I come to work everyday excited to see what piercings I get to do and how awesome each of them turns out! After doing most of my piercer training at our NE Minneapolis location, I got to move to our busier Mall of America location so I could do an even wider variety of piercings. My numbers are flying by! I’ve learned so much in such a short amount of time! I’m learning what my current favorite piercings are, and what I need to work on to better my self as a Professional Body Piercer. The cool thing about being a Professional Body Piercer, is that each of us has our own techniques and personal way of doing things. We are given specific safety protocol that each of us is required to follow, but I also have the freedom to learn slightly different methods that sometimes make inserting the jewelry easier, for example, or how to get an angle just perfect. It’s so cool to talk to my co-workers about what they do for specific piercings as I’m learning to pierce, and applying some of those techniques to my own practice has helped me a lot and helped me to find my own system in the piercing room! As of right now, my favorite piercings to do on clients are Philtrums and Dermals because they are such unique piercings. This journey of becoming a piercer has been such an amazing learning experience for me, and I can’t wait to better myself everyday and set new goals! This is a never ending learning experience and I’m so glad to have begun my journey as a Professional Body Piercer with Almost Famous Body Piercing!